Charges are per day, allowing customers to arrive and collect at any time during our opening hours. Only cats from the same household may share a pen. We only accept cats who have an up to date Vaccination Certificate (which we need to see) for Cat Flu and Feline Enteritis and ask that they are free from fleas and transported in a safe carrier. If your cat needs medication or a special diet that is not a problem. Please make sure you bring enough for their stay. Christmas Day and Boxing Day have a surcharge of £10.00 per day per pen. Fees will be payable on collection of your cat. No collections or arrivals Christmas Day, Boxing Day, New Years Day and Easter Sunday. We are licensed by Malvern Hills District Council Number 15/06636/ANIBOA and insured by Cliverton Insurance. Please call us on 01886 884867 to book. 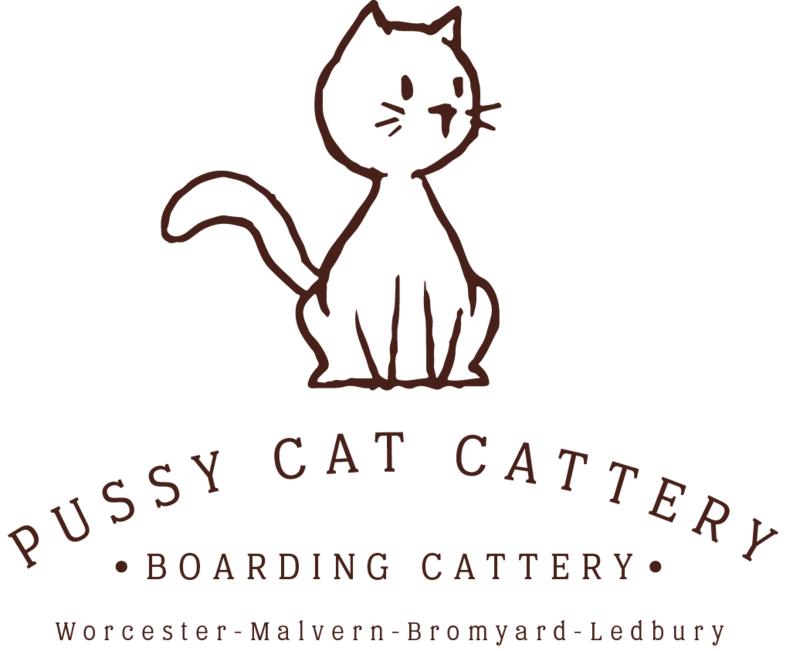 Or if you prefer, send us an email at amanda@pussycatcattery.co.uk or use our contact form below.